Considered a medium-hot pepper, it is well known and widely used, including being the star ingredient in that famous Tabasco® Sauce. 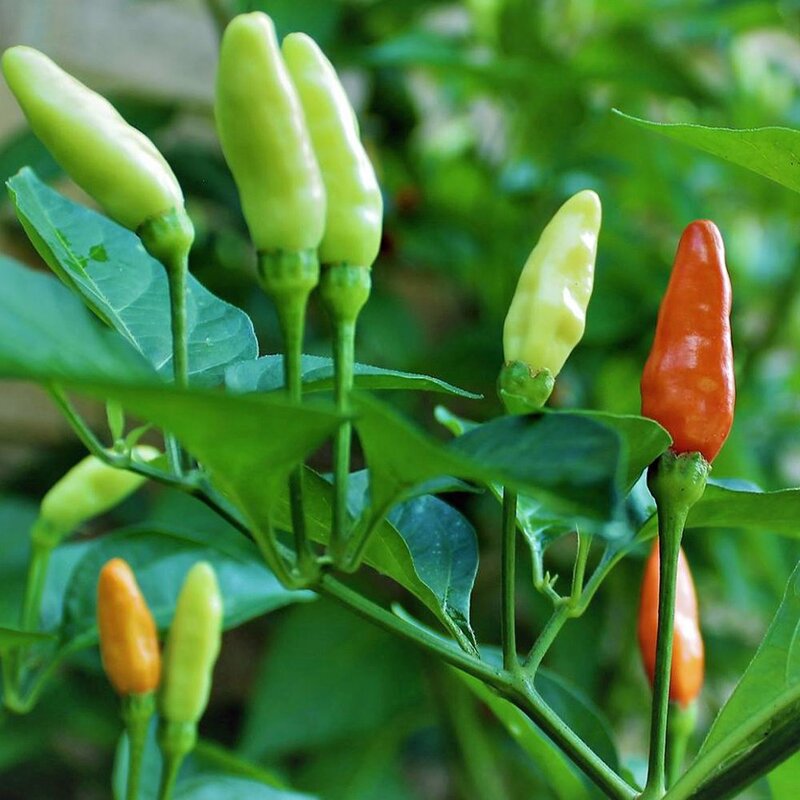 All our 'Tabasco' Hot Pepper Plants are organically grown and shipped in fine quality growing medium. They are guaranteed to arrive alive and ready to plant. Comment: Love these Peppers. I add them to my salsa for that added little kick. This is my 3rd year ordering them from GrowJoy and they've always arrived in excellent condition. Comment: My Pepper plant arrived by mail two days after it shipped. The plant was healthy and strong,and actually a little larger than I was expecting. The plant is doing well in the ground now and I'm very satisfied with my experience with GrowJoy. Comment: My Pepper plant arrived when promised and in perfect condition. I find GrowJoy a great business with quality products, helpful and friendly staff and will order again in the future. Comment: Plants look great! Fast shipping! Thanks! Comment: This is my second order of Peppers. I planted them and they are doing great! Thanks! Comment: They are already putting out Tabasco Peppers. Really good plants and very fast shipping...thank you. Will continue to order more plants! Thanks!! Comment: I am truly satisfied with my order. The plant came in good condition and is flourishing. I will definitely order from GrowJoy in the near future. Comment: Excellent service. Ordering online was quick and easy. The plant I ordered, a Tabasco Pepper tree, came in neatly packaged and in great shape. I look forward to placing more orders with GrowJoy. Comment: The plants were in excellent condition when they arrived. I thought they would be smaller so I was pleasantly surprised to see how big they were. Very impressed with GrowJoy!